If you look for it in a concordance, search for “for ever.” In the Old Testament, one term refers to the passing of time, the duration of time, and thus, says the dictionary, “perpetuity of time,” or in our lingo: eternity. In the Old Testament using this word to describe a servant’s faithful lifespan makes perfect sense. Does this mean that when the angel “swore by Him [God] who lives forever…” in Daniel 12:7 that God is not eternal!? (God’s Word is NOT true now or then, but consistently and always true and applicable to the conduct of a holy life as long as time endures … and beyond.) Bowman notes the “The Hebrews simply think of the matter in an entirely different way.” [Page 154] And it is this difference we hope to show shortly. The New Testament sees two ages: the present [Galatians 1:4] and the one to come [Ephesians 2:7]. 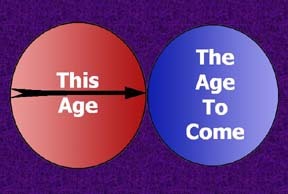 “The ages to come” becomes a metaphor for eternity, even though—think about it—we are using a term, “age,” that is bounded. In other words, it has a beginning and an end date. It makes good Greek but lousy Bible. This age to come is the same as the world to come [Mark 10:30]. Think about it: Our Bible was not written to describe heaven to us. The Bible was written to equip us for our spiritual sojourn through this life to live victoriously over sin and follow Christ. [2 Peter 1:3]. When we talk of happiness, we think of heaven, but that was not Jesus’ emphasis. His was the sermon on the mount and the “Beatitudes” which is the way to happiness in this life – in this world or age. Look at the timeline of Scripture. 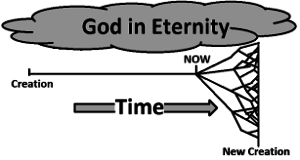 We begin to read in Genesis 1:1 “In the beginning … (of time). God begins by creating time. The Bible ends in Revelation 22:5 with the removal of the sun and moon God created in Genesis 1. This marks the end of time and the beginning of …eternity. The text in between is this life …as it should be …as it must be! 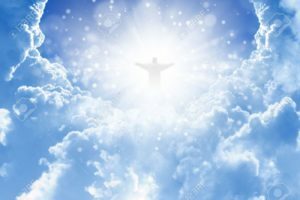 How can we be sure that what is eternal is really eternal? There is another word used only 3 times in our New Testament that makes all this plain. Time is only useful as a measurement while death reigns, because time measures decay, entropy, the running down and dying of all things. So we look for a non-death or in our language: immortality. And what about us? Is not this the glorification of the body? 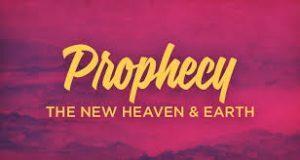 In our Old Testament the prophet prclaims, “He will swallow up death forever.” [Isaiah 25:8 ] We don’t need the work “forever” since when death is no more we have entered eternity.